You can go home again—if you can get a foot in the door. A year after packing and moving from L.A. to Mercury, North Carolina, John Ford still hasn’t adjusted to the heat. Or to life without his long-time partner. As he fixes up the old house he bought, the quiet becomes his only companion, and he’s content with that—until a deep-voiced stranger plants himself under a tree across the street. Eight years ago, Connor Meecham left someone behind in that house—himself. Now he’s back to find the man he used to be, before drugs and prison sent his life careening off the tracks. But it’s not his mother’s face peering through the window any more. It’s a man who seems as lost as Conn himself. When John learns what the house—and the dying town—mean to Conn, he finds himself opening the door to his heart. Just a crack. But it’s enough to get mixed up in a world of emotions as complicated as the recipe for the perfect cherry pie. Where one misstep can turn something sweet and juicy into one hot mess. Warning: Contains a guitar-wielding, brooding Southern boy and a reclusive millionaire with a weakness for cherry pie and hot coffee. Excessive porch sittin’ and lemonade included. This is a real feel good story, with some very poignant elements. It gives us some deep insights into the lives of two men, and how the past shapes their present. It gives us a view of a sleepy town and its politics, its needs and its characters. It gives us a love story that develops and merges two injured souls into a calm, delicious and intense relationship. It gives us hope for more, as it is clearly book one of a series. 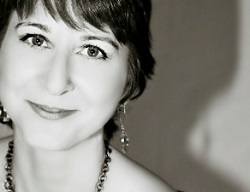 Thank you Ms. Kane, for a delightful read. This was a sweet love story between John and Connor. They each have things in their pasts that they need to deal with and together they do that. I loved the small town aspect and how everyone would come over, that made it seems like a true small town book. The relationship was a slow burn but worth the wait. I can't wait to read the next book and hope we still see John and Connor in later books. 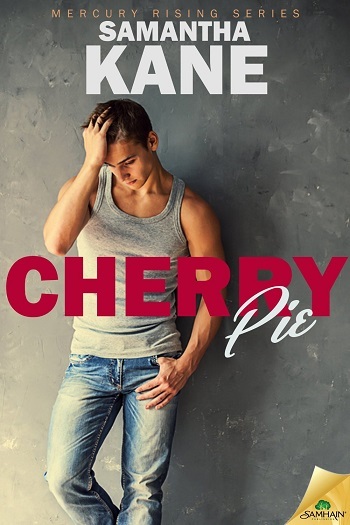 Reviewers on the Wicked Reads Review Team were provided a free copy of Cherry Pie (Mercury Rising #1) by Samantha Kane to read and review.